Hard water provides installers with over 13 million homeowner sales opportunities to introduce their customers to the benefits of water softeners, opening up a new revenue stream. More than 60% of the UK suffers from hard water, which means around 13 million households are experiencing the negative effects of limescale in their homes. However, with just 6% of homes living in hard water areas owning a water softener, the sales potential is considerable. A major portion of Britain is vulnerable to limescale due to water passing through underground chalk beds containing calcium and magnesium that accumulates onto anything it comes into contact with. Once these minerals in the water are heated they turn into limescale, which is why there is more scale in hot water than cold. This means scale and scum is commonplace around the home as well as incurring damaging build up within pipes and equipment such as dishwashers, washing machines, hot water cylinders and boilers etc. Limescale can be seen all over the home – on taps, sinks, toilets, baths and showers, but it’s the hidden scale that can cost families dearly. Hard water contains around 300mg of dissolved minerals per litre which can accumulate to 70kg of limescale a year, most of which stays inside pipes, coating heating elements in boilers, washing machines and dishwashers making them less energy efficient. Remember, you have to heat the scale before you can heat the water! According to British Water, just a 1.6mm coating of limescale on a heating element makes it up to 12% less effective and significantly decreases their working life. Educating customers about the perils of limescale is vital in order to increase sales of water softener installations. Many households may not be aware of the damage that limescale causes in their homes or the potential savings that can be made, or the lifestyle benefits, by introducing a water softener. If your customer offers you a cuppa, the scale in their kettle is only a fraction of what is building up in their system! Highlighting the advantages of introducing a water softener to customers, such as scum-free bathrooms and more efficient equipment, is a great selling tool. Not only will customers be able to cut back on detergent in their washing machines, but will need less salt in dishwashers and see better wash results too. Additionally, they won’t need to use as much hand soap, shower gel or shampoo, which can accrue significant savings. Offering customers advice and protection for their home will not only reinforce customer loyalty, but ensure repeat business – allowing installers to build a profitable relationship. There are a lot of misconceptions when it comes to water softeners so it’s important that installers know how they work in order to sell the benefits to customers. Water softeners are the most effective method of treating hard water and work using a simple process of swapping calcium, which forms limescale, with sodium. On average, there is 4 times more sodium in a glass of milk than from a glass of softened water. Softened water has been classified as ‘wholesome water’ by WRAS since 2007, so the myth about salt in water needs dispelling totally says Kevin Johnson. The mains water is passed through the softener which contains a sealed chamber of thousands of tiny resin beads; specially formulated and charged with sodium ions. Calcium and magnesium ions in the hard water are then replaced by sodium ions resulting in soft water flowing out of the unit. Once a certain volume of hard water has passed through, the water softener needs to regenerate, flushing its resin beads with a weak brine solution (salt mixed with water). 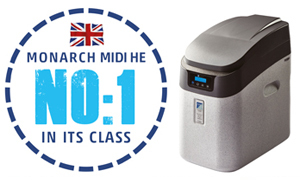 Most water softeners – either twin-tank or single cylinder – regenerate automatically at pre-set volumes. With twin-tank models, the softening is continuous, while the harder the water, the faster salt gets used. Thanks to innovations in technology water softeners have evolved into more compact units which are easier to install, with an average installation in just 3-4 hours. Water softeners come in electric and non-electric models for ease and convenience of both installers and end users. Non-electric models are ideal for customers short on space as they stand at just 20 inches tall and don’t need electricity to run. Electric models are best suited to sites with access to electricity with a little more space as they are slightly larger and can handle higher flow rates. Price will always be a sticking point for customers, but it’s important that installers encourage them to consider the initial outlay of a unit compared to the potential payback, which is just a few short years. “We have some units that have been going over 30 years so the overall cost is very low compared to all the benefits they offer,” points out Johnson. The units’ running costs are simply the price of salt blocks or tablets which is around £8-10 per person per year. The electric units cost around just £3.50 in electricity a year to run in addition the salt, which is negated by the savings made in other areas. 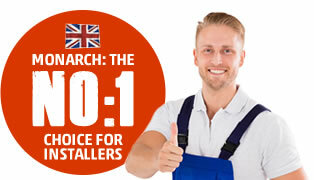 There are some serious financial benefits for installers too as buying from a merchant at a trade discount enables them to offer customers a competitive supply and install quote, allowing them to pocket a decent profit. Millions of UK residents could benefit from installing a water softener, so by educating customers and offering professional advice, installers can also reap the rewards of soft water. Pursuing this line of revenue is a great way to forge customer relationships and expand businesses with just a few hours work. Check the softener has the correct flow rate to cope with the system. A drain and overflow facility near the proposed position of the softener is essential. Close proximity to a plug socket when installing an electric model. When choosing an electric model ensure it has proportional brining as a minimum specification as this keeps running costs to a minimum. Purchase from an established and reputable manufacturer that has ‘HomePlus’ service engineer support. Avoid internet companies selling solely on price as there will be no ‘HomePlus’ back up. Make sure there is space to access the unit for salt filling.